At Westland Greenhouse Solutions Inc. we realize that much of our success comes from our experience. Our past quality installations give us the experience necessary to do the next quality installation. Our goal is to learn on every job and make then next one even better. Ask anyone in our industry, and you will find that Westland Greenhouse Solutions Inc. has a great reputation, earned through our constant improvement of our installations and materials we supply. See below for some past installations that Westland Greenhouse Solutions is happy to show. Westland Greenhouse Solutions Inc. is currently expanding. Based on our growth in the last few years, we have decided to move our operations. And who better to build it than our own crews. We know the quality of installation will be a huge benefit to our long-term ownership of the structure. We have the same concerns you do! We are currently building almost 3 acres of greenhouse for our local partner to grow their products, then we will proceed to build our warehousing, manufacturing shop and offices. Completion March 2019. More to come! 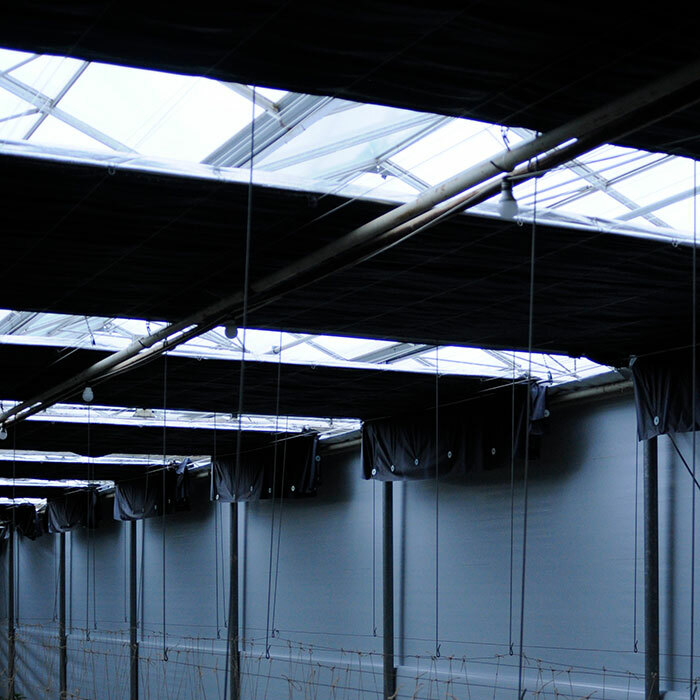 Westland Greenhouse Solutions Inc. installs one of the most advanced Blackout Systems in the industry. It’s easy to install, self-adjusting and low-maintenance. We focus on sealing the blackout at the sides and ends, and our rollups work seamlessly creating an effective light block, making our Blackout Systems the best in the industry. And we are always developing new ways to make our Blackout Systems even better. A good Blackout System will focus on 2 things – allowing as much light as possible when open, and as little light as possible when closed. Our system self-adjusts to make sure your maintenance is as little as possible, and the system works as well as possible, for as long as possible. 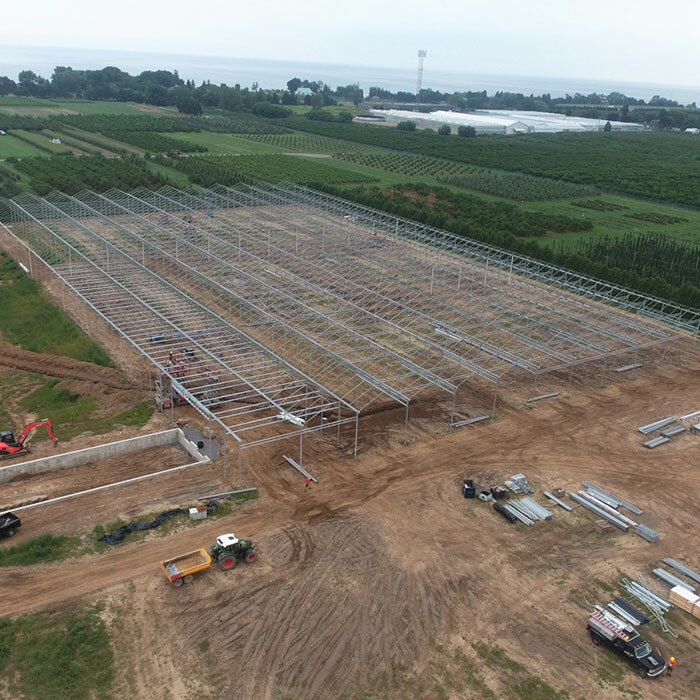 Westland Greenhouse Solutions Inc. creates warehousing that can protect your goods, and keep your workers cool in the summer, and warm in the winter. 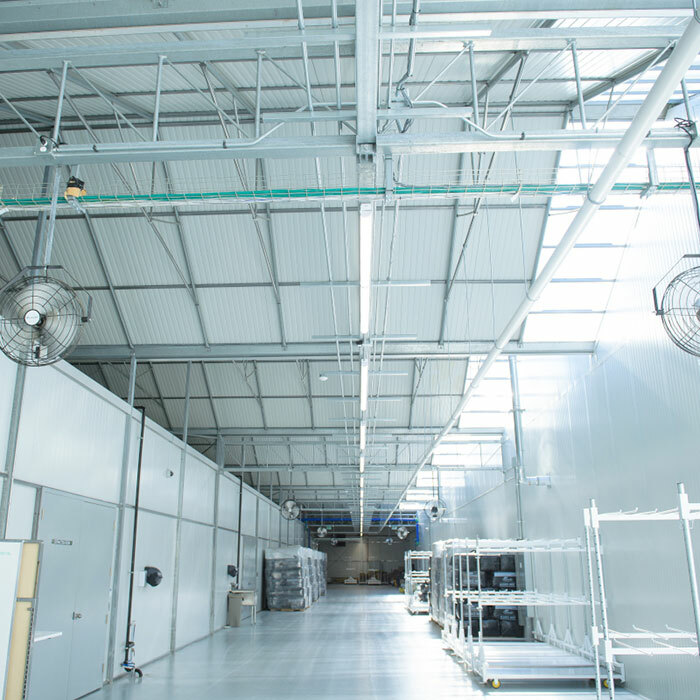 We have many options for Warehousing, from Acrylic and Polycarbonate to Structural Insulated Panels. Using our specially designed arches from our Poly greenhouse, we have many different roof options. Our engineered warehouses that can be custom designed to fit your needs, including all load-bearing requirements, and even including a second floor office or storage.